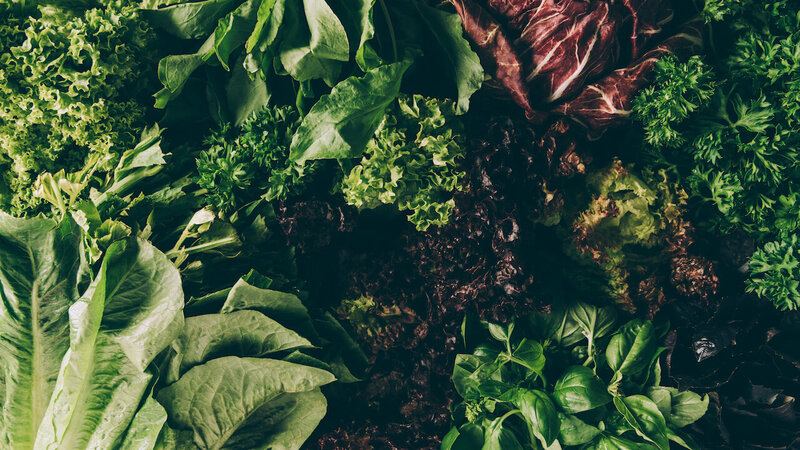 Unless you eat a lot of Japanese food, there’s a good chance you’re not eating one of the healthiest greens on the planet… healthier than spinach, collard greens, even kale! Now, I’ll be honest. Seaweed is NOT one of my favorite foods. But I’m a true believer in the power of “extreme greens,” so I came up with some easy tricks and recipes to make seaweed a part of my diet. 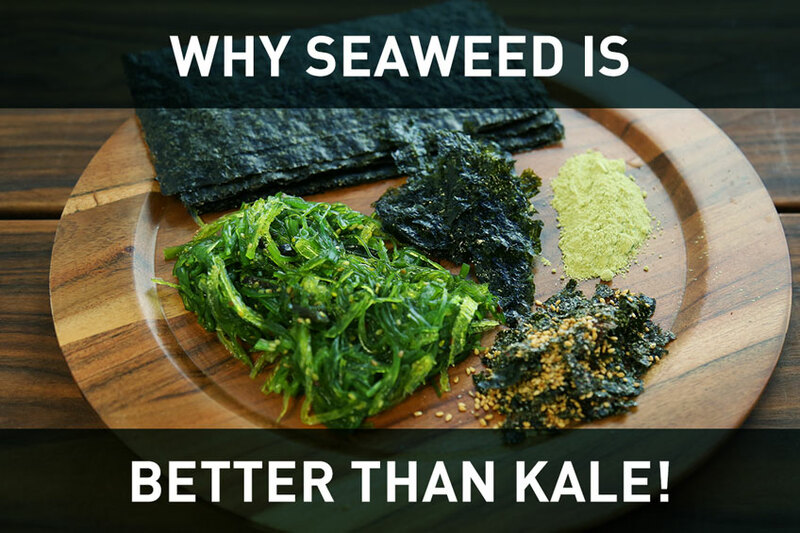 I’ll share those tips with you later in this blog… but first, I want to tell you about the amazing health benefits you’ll get from seaweed. 1. Seaweed is a great source of vitamin B12. 2. It’s one of the best sources of iodine. So, unless your doctor tells you to avoid iodine-rich foods, it’s a great idea to add seaweed to your diet. 3. Seaweed is packed with polyphenols. I can’t say enough good things about polyphenols… I’m obsessed. Glutathione for brain & nervous system health. Fucoxanthin to help manage body weight. Catechin to help boost heart health & metabolism. 4. Seaweed is rich in heart-healthy Omega 3’s. Now, just because it’s fantastic for you doesn’t mean it’s easy to get used to snacking on seaweed… but with a little creativity, it can actually taste pretty good! One of the most classic ways to eat seaweed is in a salad, or chuka wakame. Now, one of the most classic ways to eat seaweed is in a salad, or chuka wakame. You’ve probably seen it at sushi bars or Japanese restaurants. But if you’re not a fan of those flavors, don’t worry. Seaweed (either dried or rehydrated) adds a great salty kick to just about about any salad. It’s particularly good when chopped and tossed with raw shredded vegetables like broccoli slaw, shredded carrots, and daikon radish. Just remember, it’s salty – so don’t add too much salt to your dressing! Furikake + diced garlic on cauliflower rice = a perfect side dish! In Japanese culture, it’s traditional to sprinkle a seaweed-based seasoning called furikake on rice. It’s a mixture of seaweed, sesame seeds and seasoning that adds a briny, salty, addictive kick to anything it’s paired with. Even better, it’s available in the Asian section at most grocery stores. If you can’t find furikake, look for gomasio – they’re very similar. But that shouldn’t stop you from giving furikake or gomasio a try… it’s delicious on cauliflower rice, sprinkled over cooked meats and vegetables, or even on a salad. My 3 favorite seaweed wraps: 1) vegetable, 2) turkey & cheese, 3) smoked salmon & red onion. If you’ve ever had sushi, you’ve seen seaweed used as a wrap. 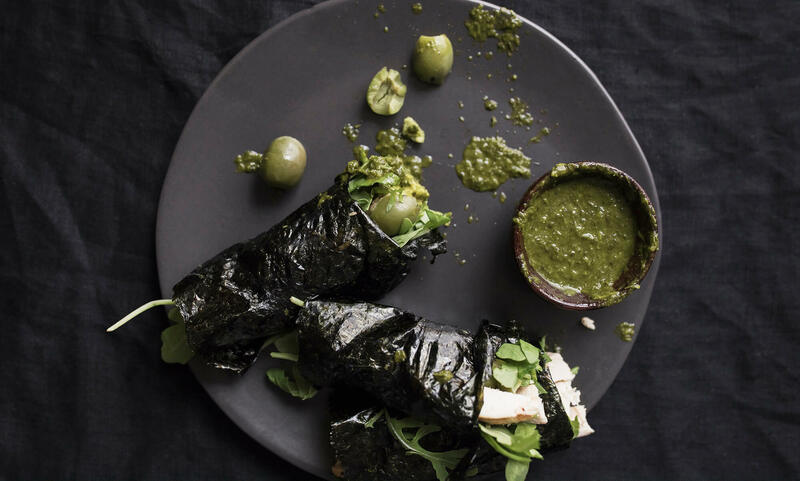 If you’re not a fan of raw fish, you can still make seaweed wraps work for you… just think of it as a substitute for a tortilla. Look for nori, the wrappers used for sushi, and fill it with any of your favorite sandwich fillings: chicken salad, sliced meat, avocado, cheese, even tuna or shrimp. Get creative – you never know which combination of flavors will get you hooked on seaweed. And honestly, the possibilities are limitless. 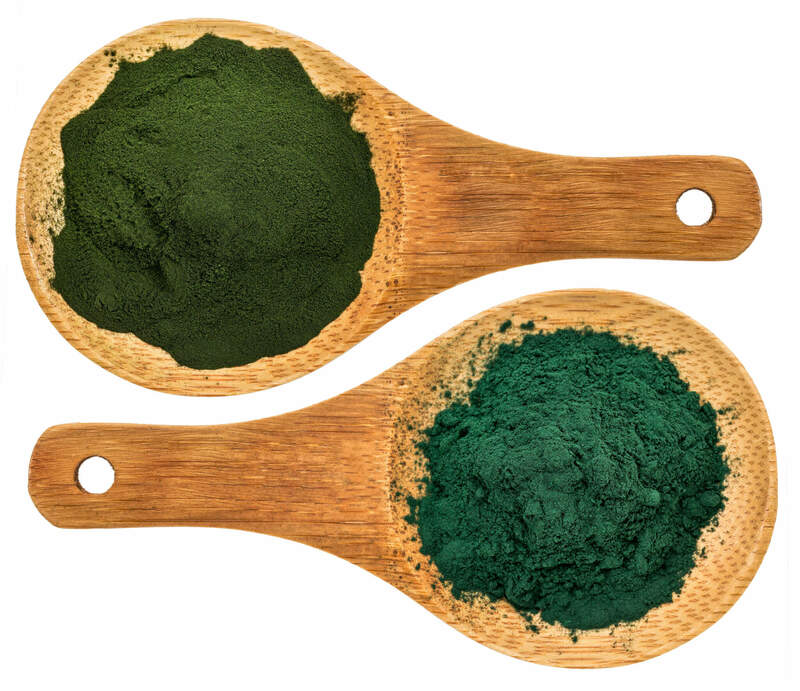 The more I try seaweed, algae, and other “extreme greens,” the more I’ve learned to enjoy them. So do me a favor: give seaweed a chance. I’d love it if you’d leave a comment below and let me know what you think about these seaweed tips! What was the most interesting or exotic food dish you’ve eaten recently? Where did you eat it, how did you like it, and how did it make you feel? Comment below and let me know. Sources1. O’Leary FSamman S. Vitamin B12 in Health and Disease. Nutrients. 2010;2(3):299-316. doi:10.3390/nu2030299. 2. Vitamin B12. Linus Pauling Institute. 2014. Available at: http://lpi.oregonstate.edu/mic/vitamins/vitamin-B12. Accessed September 23, 2016. 3. Tietelbaum J. Iodine Deficiency – An Old Epidemic Is Back. Psychology Today. 2011. Available at: www.psychologytoday.com/blog/complementary-medicine/201108/iodine-deficiency-old-epidemic-is-back. Accessed September 23, 2016. 4. 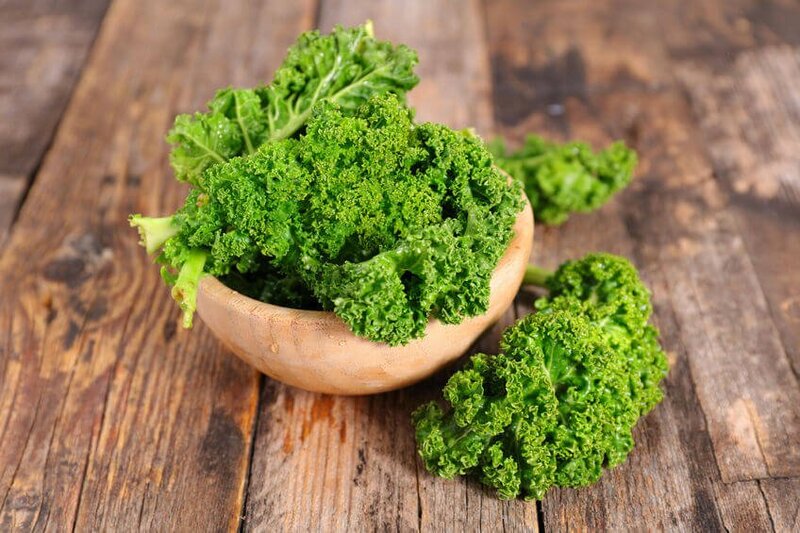 Farasat M, Khavari-Nejad R, Nabavi S, Namjooyan F. Antioxidant Activity, Total Phenolics and Flavonoid Contents of some Edible Green Seaweeds from Northern Coasts of the Persian Gulf. Iran J Pharm Res. 2014;13(1):163-170. 5. Farasat M, Khavari-Nejad R, Nabavi S, Namjooyan F. Antioxidant Properties of two Edible Green Seaweeds From Northern Coasts of the Persian Gulf. Jundishapur J Nat Pharm Prod. 2013;8(1):47-52. doi:10.17795/jjnpp-7736. 6. Papp L, Lu J, Holmgren A, Khanna K. From Selenium to Selenoproteins: Synthesis, Identity, and Their Role in Human Health. Antioxidants & Redox Signaling. 2007;9(7):775-806. doi:10.1089/ars.2007.1528. 7. Cornish MGarbary D. Antioxidants from macroalgae: potential applications in human health and nutrition. ALGAE. 2010;25(4):155-171. doi:10.4490/algae.2010.25.4.155. 8. Peng J, Yuan J, Wu C, Wang J. Fucoxanthin, a Marine Carotenoid Present in Brown Seaweeds and Diatoms: Metabolism and Bioactivities Relevant to Human Health. Marine Drugs. 2011;9(12):1806-1828. doi:10.3390/md9101806. 9. Del Rio D, Rodriguez-Mateos A, Spencer J, Tognolini M, Borges G, Crozier A. Dietary (Poly)phenolics in Human Health: Structures, Bioavailability, and Evidence of Protective Effects Against Chronic Diseases. Antioxidants & Redox Signaling. 2013;18(14):1818-1892. doi:10.1089/ars.2012.4581. 10. Gupta SAbu-Ghannam N. Bioactive potential and possible health effects of edible brown seaweeds. Trends in Food Science & Technology. 2011;22(6):315-326. doi:10.1016/j.tifs.2011.03.011. 11. Dietary Sources of Omega-3 Fatty Acids | Overview. Omega 3 Institute. Available at: www.dhaomega3.org/Overview/Dietary-Sources-of-Omega-3-Fatty-Acids. Accessed September 23, 2016. 12. Eriksson M. Omega-3 fatty acids in health and disease. Clinical Nutr. 1991;10(1):61. doi:10.1016/0261-5614(91)90084-p.
13. Karr J, Alexander J, Winningham R. Omega-3 polyunsaturated fatty acids and cognition throughout the lifespan: A review. Nutr Neuro. 2011;14(5):216-225. doi:10.1179/1476830511y.0000000012. 14. Farzaneh-Far R. Association of Marine Omega-3 Fatty Acid Levels With Telomeric Aging in Patients With Coronary Heart Disease. JAMA. 2010;303(3):250. doi:10.1001/jama.2009.2008. Dear Dr. Gundry: I love all of your healthy tips and read it every day. I always find something that truly is healthy. I do have a questions. Can you please give us more tips on preventing alzheimer’s or Parkinson? info for me. And i’m happy reading your article. However should statement on few basic issues, The web site style is wonderful, the articles is in reality nice : D.
I love your pictures and information.i climb the foothills of Alps in Switzerland @ my daughter’s. She took a course in Mediterranean meals – highly recommended.i grew up at Blanchisseuse, Trinidad and Tobago on sea weed & sea creatures +fish; but I’m not sure ( in hindsight) if they were the healthy products.I visit in December. I hope to search for some of your seafoods. We have a house at 0°sealevel & all these sea weed comes up, but we never consumed them. We thought they were poisonous. As a child, I always knew in my heart that all cures will be from the ocean – I still hope I’m correct. Tell us more about sea weed. I will explore, further in Dec,2018. I recently purchased your “Lectin Shield”, too soon to tell. I learn from other opinions, I hope mine is also of interest. May God continue to heal us with HIS Revelation. Shaelom Shalom! Question? Does seaweed contain lectins and if so how can they be removed? Thank you. I read your article on seaweed Can you advise us on the issue of radioactive toxicity and seaweed. I used to love eating seaweeds but I hesitate to eat them after Fukushima. Please advise.